→How Much Does Bed Bug Extermination Cost? Because of the old bedtime expression, “Goodnight, don’t let the bedbugs bite,” you may be surprised to find out that bed bugs are not fictional vermin, intended to scare young children into early bedtimes. Most people cannot see them, but bed bugs lurk in areas where you least expect them… in the safety and comfort of your own mattresses and bedding. Other places a professional might locate bed bugs include bed frames, headboards, couches, sleeping bags and other furniture. Measuring between 3/16″ or 1/4″ long, an adult bed bug’s size is comparable to an apple seed. While bed bugs prefer to live where you sleep, you will probably never see one. That doesn’t mean they aren’t there, as these flat, oval bugs are as common as ants and roaches. Just as a roach infestation is no indication of ‘dirtiness’, the presence of bed bugs in your home does not point to a lack of hygiene. 2 How Much Does Bed Bug Extermination Cost? You don’t want to become lunch for small blood-thirsty vermin that attach in the night, while you were trying to sleep. Your pets are also susceptible to attack by blood hungry bed bugs. While bed bugs aren’t known to carry diseases, they compromise the dermis, leaving unsightly, uncomfortable, and even itchy, sores and bumps. Your presence and, more specifically your blood, helps to ensure their chances of survival. By now, you are asking yourself, “How much does it cost to hire an exterminator to rid my home of bed bugs?” Don’t worry. You can easily afford an exterminator, as most companies will do an initial inspection and talk to you about the size of your infestation, and the options that are available. Depending on the urgency of the situation and the number of vermin present in your home, you should expect to spend between $50.00 and $200.00, on average. These numbers may vary, depending on your geographical location and the approach used by your exterminator. The size of your home in terms of square footage will also affect the amount your exterminator will charge. If you own a business, such as a hotel, bed and breakfast, nursing homeor other type of facility, you can expect to spend substantially more. However, you may find that, by signing a contract, monthly exterminations save you money by securing a lower rate. The rate will also be dependent on whether you require assistance with the clean-up, after the bed bugs are killed. Once you have chosen the most qualified bed bug exterminator and agreed upon the fee, the company you hire should provide a written contract. In the contract, a complete ‘plan of attack’ should be outlined, describing the steps that will be taken to rid the home or business of bed bugs. In the contract, you should be able to the list of treatments that you and your exterminator have agreed to use. 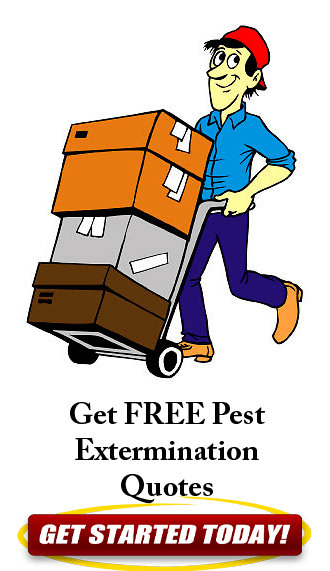 There will also be a list of instructions on what you, the home or business owner, can do before, during and after the bed bug extermination to help kill vermin and secure the location.Most importantly, this written contract should outline the number of exterminations that will be needed to properly remove the bed bugs. Typically, you will need to clean your home or business, moving large pieces of furniture away from walls. Remove any obstacles that might make it difficult for the bed bug exterminators to treat baseboards, picture frames, bed frames, dressers, drawers and tables. Plan to be away from the premises for several hours while the bed bug treatment is executed by the exterminator. There are several tasks that the home or business owner should resolve to do, once the exterminator has treated the location. To remove sick and dead bed bugs, you will need to vacuum the floors and furniture, and launder all bedding and draperies. Clothing will also require your attention, placing all possessions in drawers and closets. If possible, you should consider re-sealable bags and containers.